"I was just hooked by the sight of him ["Macho Man" Randy Savage], his natural charisma...And when I was 11, 12, then 13, I started realizing how obsessed I was." "When I started this character, it was me being 12 years old again. We would have other wrestlers come to our promos, and I'd geek out over them, and show my excitement. I would just grab them and not let go." "When I first started to learn to run the ropes, that was really painful for me, it's just cable wire wrapped in tape. It bruised my ribs so bad, it hurt to be hugged, it hurt to lay down. To have bruises all over and still train and not tell anyone about it, I knew I must really like this to keep doing it." 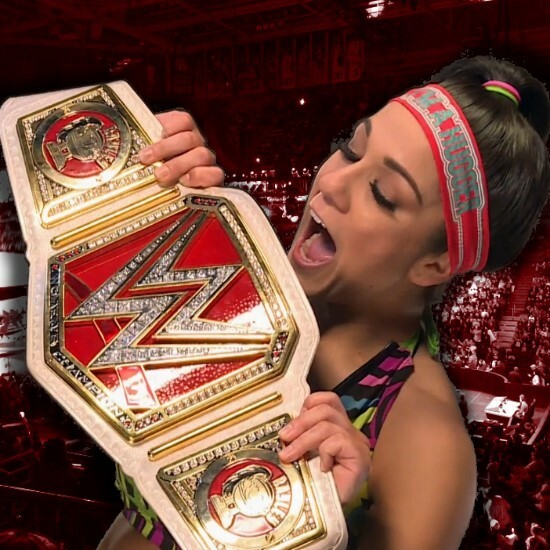 Bayley also discussed returning to her hometown (San Jose). You can read the full interview by clicking here.